Dance superstars Flawless intend to be flawless in Worthing! Given their huge, continuing success, Flawless certainly chose the right name all those years ago – and have lived up to it ever since. But Marlon ‘Swoosh’ Wallen is quick to point out that the name is in fact their driving force. 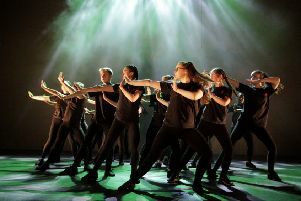 The street dance superstars are embarking on a UK tour to mark the conclusion of their recent world tour. They play Pavilion Theatre, Worthing on November 4. Drawing influence from dancers including Michael Jackson, James Brown and Gene Kelly, Flawless stormed onto the scene in 2004 as an embodiment of Marlon’s vision: to mirror his idols and inspire the masses with his passion for dance. They were hurled into the spotlight with Britain’s Got Talent in 2019. The fact is that huge preparation goes into it all: “We put of a year of work into it before we even did a performance. I formed it in 2004 and we were training for a whole year. The focus was on getting to know each other and team building and looking at our look and our identity, and then 2005 was when we first did the dance competitions. I had a solo career before Flawless. I had experience in the industry working with a lot of big-name dancers. This was back in the days of Top of the Pops and all those different shows that were very popular. But then that drive to be a soloist started to fade. I was thinking that this wasn’t really for me anymore. I thought ‘This is amazing’ but I want to be able to achieve what I want to achieve, and I was walking away and it didn’t stand for anything. I wanted to have a team of people around me. I wanted to have a company. You want to be able to use your experience. The Chase the Dream: THE REBOOT shows centre around an intergalactic dream ship and the lives of ten big dreamers who are optimistically longing for the chance to accomplish their ultimate dance fantasy. However, tensions rise as their dream slowly descends into their worst nightmare. Using their outstanding technical abilities and high energy acrobatics, will they be able to overcome their ordeal?